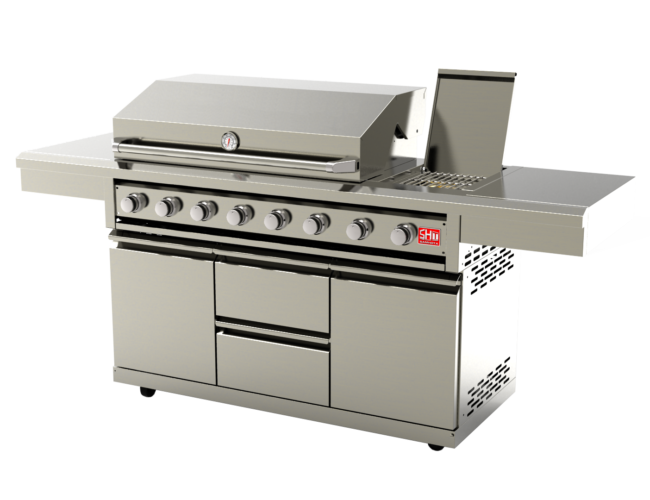 6 heavy-duty cast iron burners, 1 ceramic side burner and 1 rear burner with electronic ignition. Fantastic sized cooking area and work space. Includes warming rack. 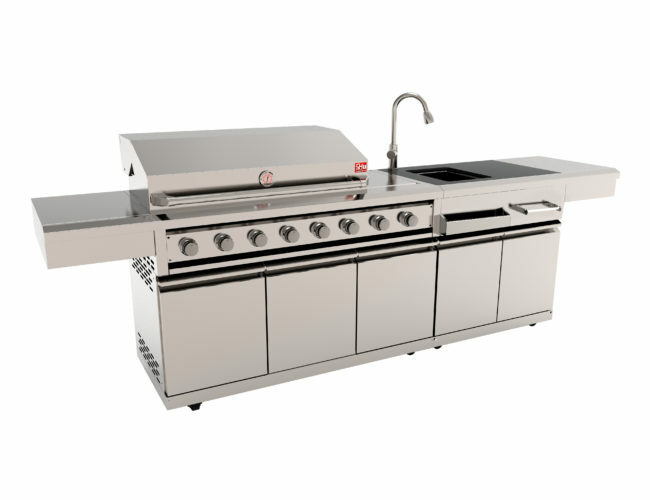 Enza Outdoor Kitchen = Entertainers Dream! !